By now, we usually know what to expect from GTS versions of Porsches. The formula has been repeated time and time again: the German firm takes an ’S’ model, turns up the power ever so slightly, lightly tweaks the chassis, make some normally-optional items (like ‘PASM’ adaptive dampers) standard equipment, and then finishes the car off with a sprinkling of sporty-looking black trim pieces. And a royal festooning of GTS badges, of course. 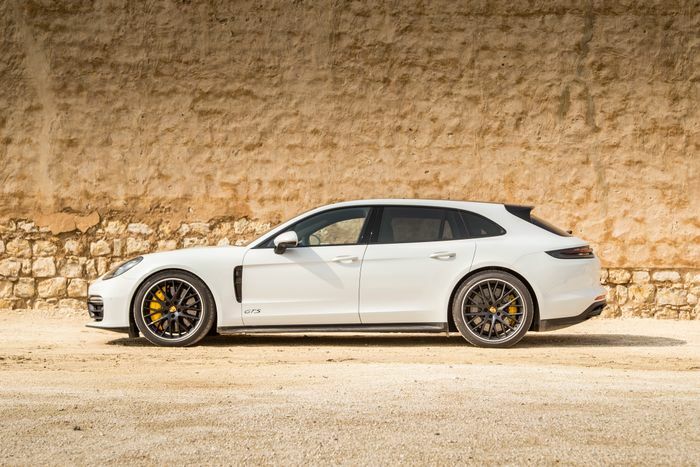 Imagine our surprise, then, when Porsche revealed the new Panamera GTS, complete not with a slightly more powerful version of the V6 used in the 4S, but a twin-turbo V8. 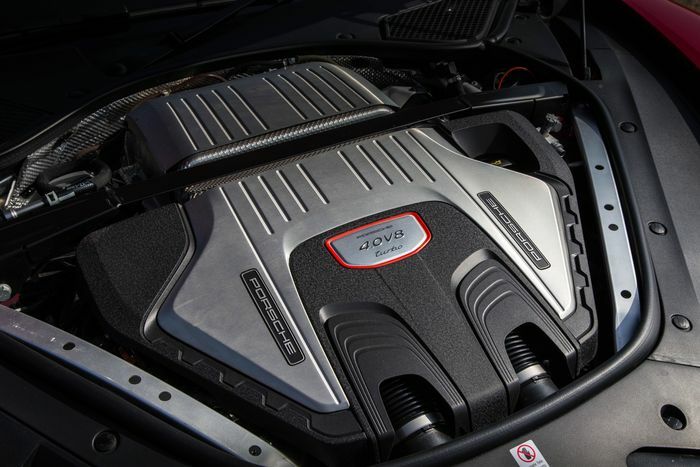 Our original suspicion that the 4.0-litre unit is derived from the Audi joint-developed unit found in the Panamera Turbo turned out to be almost correct. 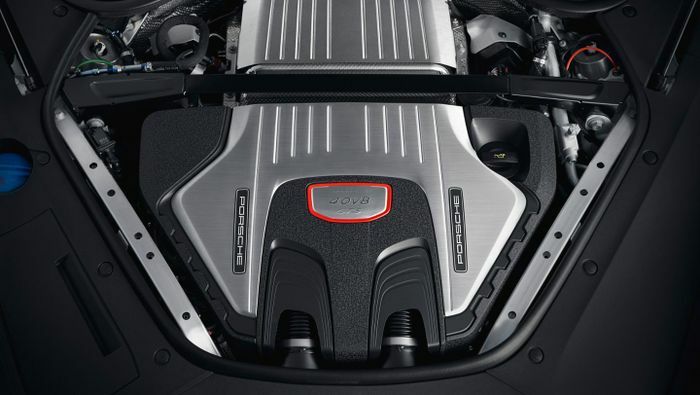 Speaking to Car Throttle at the launch of the new GTS in Bahrain, Panamera powertrain director Arno Bögl confirmed that the engine in the car is in fact mechanically identical to the Turbo’s V8. 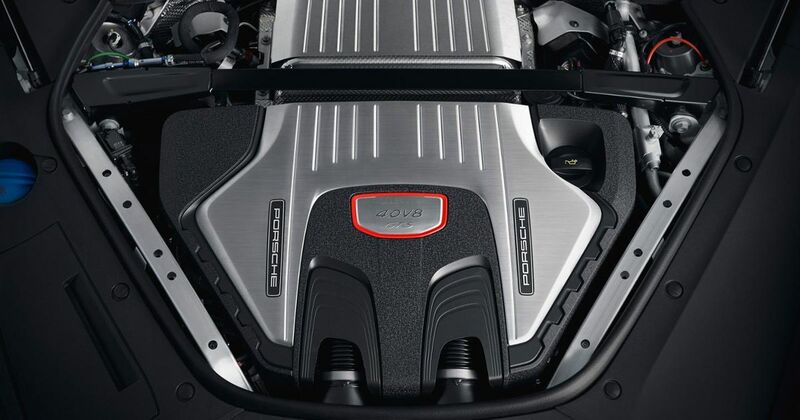 Even the two twin-scroll turbochargers are the same; Porsche has merely turned down the boost pressure from 1.3 to 0.8 bar, in the process dropping the power from 542bhp to 454, and the torque from 568lb ft to 457lb ft. Presumably, it would be possible to have a remap done to turn up the pressure, but that might not be advisable. While the engine is the same - save for the map and a new resonator intended to pass more noise into the cabin - the transmission is different. The higher-rated version of the PDK automatic gearbox fitted in the Turbo and Turbo S E-Hybrid Panameras simply isn’t necessary due to the lower torque figure, so Porsche has opted for one lower in the PDK pecking order. But why use a V8 in the first place, when the tried-and-tested GTS formula would involve using the V6 from the 4S? That’s simple. “We decided to use the V8 because the V8 is the more emotional engine, you’ll hear the sound when you drive the car,” Bögl explained, adding, “The second reason is we can have a lot more torque [than if the V6 was used” - 100Nm more”. “The V8 is the better engine for the GTS,” he concluded. We’ll tell you whether or not we agree when the driving impressions embargo drops mid next week.